Discover Financial Services is breaking ground in customer relations and financial management. They recently announced the decision share FICO scores with their Discover It card members for free. This move makes them the third creditor—after Barclaycard US and First Bankcard—to provide this service. A number or “score” ranging from 350 to 850 is assigned to you based on the information in your credit reports. The higher your score, the better your credit rating. The Big Three—TransUnion, Experian and Equifax are the credit bureaus that house your information. Lenders use varying methods to calculate potential customers’ FICO scores. For example, your mortgage lender’s FICO formula may provide a higher score than your car dealer’s formula, or vice-versa. Consumers usually pay for access to their FICO score, e.g., myfico.com is currently offering a 30-day trial for $4.95 (increasing to $14.95 per month after the trial period ends). Keep in mind, this score may be different from the score used by creditors based on their individual calculation methods. Why is Discover offering it for free? No. Federal law requires creditors to clearly outline the terms and conditions of the services, allowing consumers to make an informed decision before signing up. The FICO score is offered free of charge to Discover It cardholders, but don’t take my word for it. Do some research to learn more about the card’s terms. Education eliminates the element of surprise. Should I apply for a Discover card? 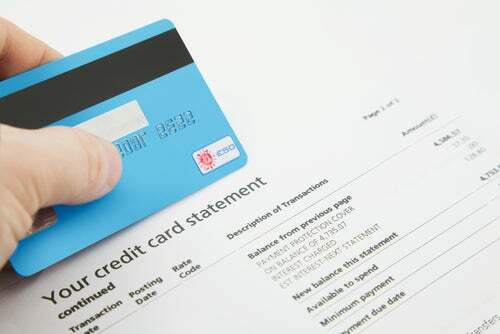 How will a new card affect my credit score? Will adding another revolving account overload my credit report? Have I read the terms and conditions of the card in question? Do I agree with them? Do the benefits of the card outweigh the costs? What does this credit card offer that others don’t? The bottom line: Choosing a credit card should be based on a number of factors. If you are unsure of the next step, talk with a professional about how a new account could affect your credit report. This entry was posted in News and tagged Credit Score, FICO. Bookmark the permalink.